My pin oak is sick! Have you ever heard of wasps laying eggs into a leaf? I had not either until my pin oak got sick this year, perhaps just to teach me an extravagant biology lesson. My pin oak needs your help. The symptoms are: many round brown bumps on the top of the leaves that correspond to brown stains on the back of the leaf. There also seems to be some whitish dust on the back of the leaves. The unfortunate thing is that I believe the whole tree is affected by this. I was wondering if you can tell me what the disease may be and if there is any treatment for it. I am attaching a few photographs. 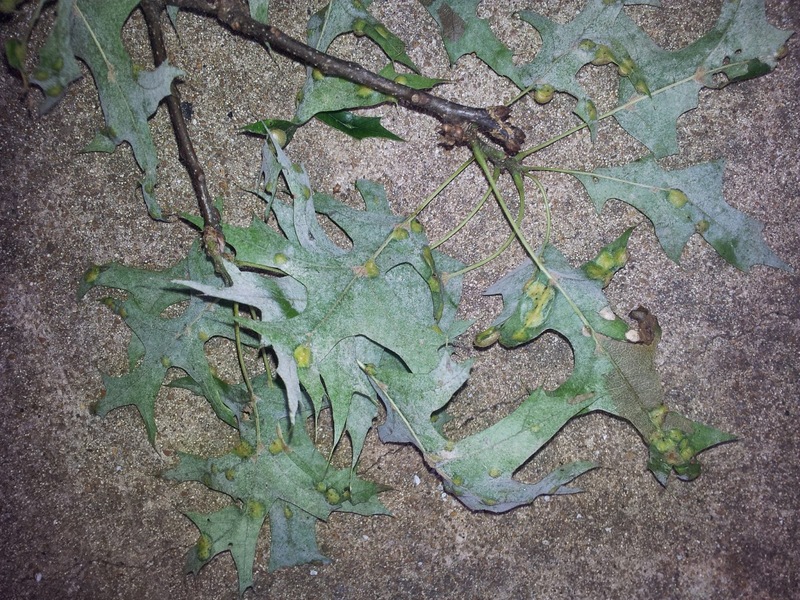 Your good pictures tell us that your pin oak has been attacked by two different organisms, a small wasp and a fungus. Neither is life-threatening, but each can make the leaves unsightly. They also make good clean-up of affected leaves and their disposal very important. 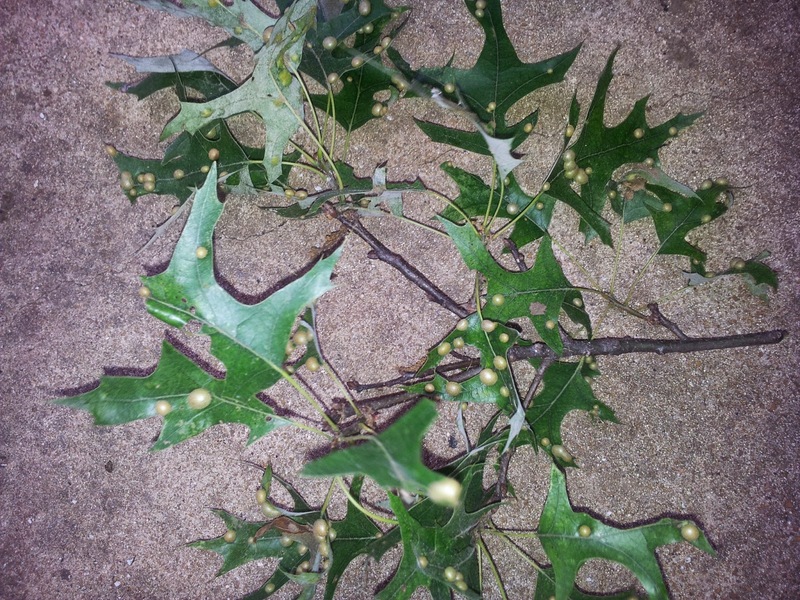 We don't recommend spraying for either leaf galls or powdery mildew. Thanks for visiting GardeningHelp. We like to hear from our members. So, I have a pin oak inhabited by wasp larvae. There must be thousand of them, because every leaf of this immense tree is affected. When they mature, the wasps fall down, "released" by the leaf, get buried in the soil, from where they emerge to fly around a bit before resuming the cycle. The blind cycle of life. 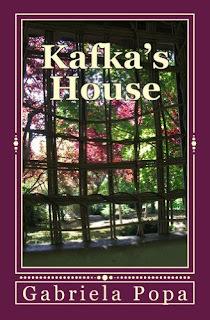 "...a few poems that will endure..."
Kafka's House giveaway is live on amazon! 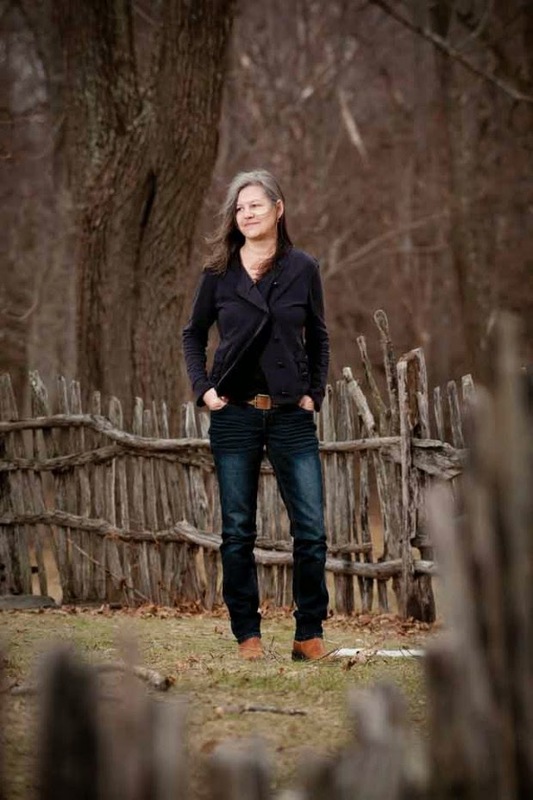 I have just finished "The Boys of My Youth" by Jo Ann Beard - and absolutely loved it. If you want to hold, read and cherish a marvelous book, this is the one you should read right away. Also reading some interviews with Ms. Beard and enjoying quite a different type of personality - refreshing in this age when everything is "me, me, me!" "Interviewer: How do you see the world when you’re not writing it?